Take off your shoes and explore the rock face in the evening when the lighting is best to view them. 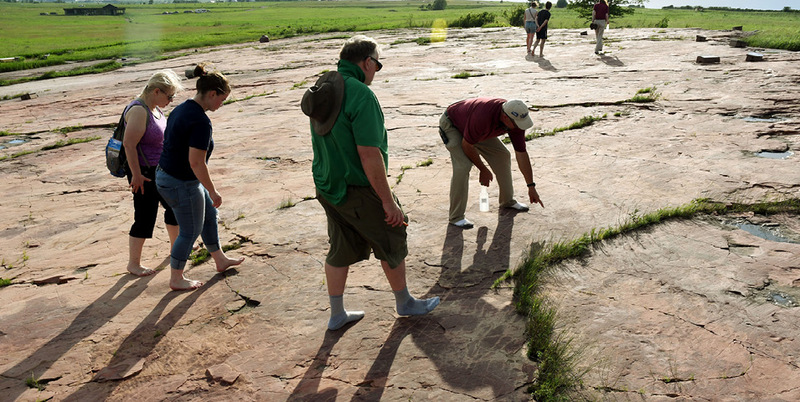 During this special access, visitors will be able to do a self-guided exploration of the petroglyphs and see carvings not visible from the regular path. An extensive conservation project identified an additional 3,000 petroglyphs, which until recently were covered in lichen. Visitors can explore the rock face any time between 5 and 7 pm and should be prepared to walk barefoot or in socks on uneven surfaces.